You are traveling on Nicolaus Road headed to the Lincoln Regional Airport when an 18-wheeler slammed into your vehicle. Your car is effectively demolished, and you suffer debilitating, potentially life-altering injuries. An investigation into the collision revealed that the big rig operator was intoxicated at the time of the wreck. 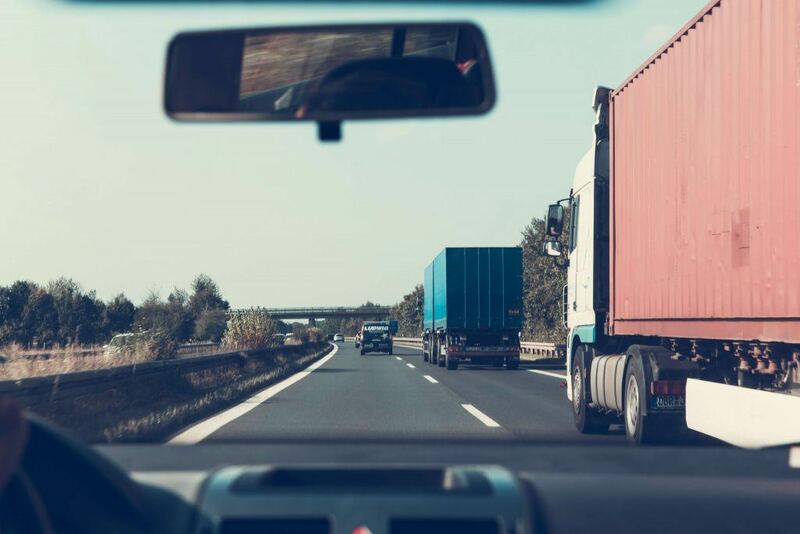 If you or a loved one was involved in an accident with a large commercial truck, contact an experienced Lincoln truck accident attorney as soon as you can. Why? Because large trucking companies often employ teams of investigators, claims adjusters, and defense attorneys who go to work right away after a major collision involving one of their big rigs. This means that if you delay in hiring a lawyer, you can instantly be giving the trucking company an advantage in your case. You probably have some questions regarding the injury claims process. I am here to help. Below is important information to assist you in your search for an attorney and the claims process in general. The common stereotype of lawyers is that they require clients to pay a big retainer fee up front in addition to exorbitant hourly fees. Not so with Lincoln truck accident lawyers. We operate on a contingency fee basis. This means that you pay nothing up front. No retainer fee. No hourly fee. Your lawyer only gets paid when they obtain a financial recovery in your case (i.e., a settlement or jury verdict). Shortly after a major accident, do not be surprised if you receive a call from an adjuster from the insurance carrier for the commercial trucking company. This adjuster will typically ask you about the accident and “how you are feeling.” They will then ask if they can record your statements to their questions. Please understand that you have no legal obligation to provide a recorded statement. In fact, it is recommended that you do not consent to be recorded because those statements could be used against you later on in the litigation process. If, or when, you receive this call, you can politely decline and, if you have retained the services of an attorney, simply direct them to contact your lawyer for additional information. Many people mistakenly believe that if a truck operator slams into their vehicle, the truck operator will need to go into court and try to explain their reckless actions. The truth is that, in the context of a personal injury case, the plaintiff (i.e., you) is required to establish liability. To determine liability, you need a skilled Lincoln truck accident lawyer who can show that the truck driver and/or other related defendants owed a duty of care to you, the defendant(s) breached that duty, and that breach proximately caused your injuries. To accomplish this, your lawyer needs to be ready to investigate your accident and collect vital evidence that will form the basis for a persuasive case. Your lawyer will collect investigative reports filed by police, retrieve truck maintenance and repair records during the discovery process, speak to any eyewitnesses and take depositions of the truck operator and other relevant parties, and review log books and other important data that is maintained within most commercial big rigs. Your Lincoln truck accident lawyer can also retain experts who can support your lost wage claim, especially if your injuries are so extensive that you may never be able to return to work again. One of the most publicized truck accident cases in recent memory involved famous comedian Tracy Morgan. He was in a limo bus in New Jersey when it was hit a Wal-Mart big rig. The wreck was quite serious involving multiple occupants suffering catastrophic injuries (e.g., Tracy Morgan suffered a traumatic brain injury) and fatalities. An investigation revealed that the operator of the big rig was awake for more than 24 hours and fell asleep while behind the wheel, according to the New York Daily News. The driver pled guilty to criminal charges stemming from his reckless conduct. Despite the overwhelming evidence of negligence and carelessness on the part of their employee, Wal-Mart’s defense team tried to argue that Tracy Morgan’s injuries were caused primarily by his failure to properly wear an appropriate “available seat belt restraint device,” according to Deadline.com. This is what large trucking companies do. They look for anything that can possibly reduce liability on their part, and they will try to use it to their advantage. Tracy Morgan’s truck accident injury case continued for another year until the parties ultimately reached a settlement for an undisclosed amount (though some have speculated that the amount was close to $100 million). As you can see, it is possible to obtain a sizeable settlement or verdict against a large commercial trucking company. But you need to be prepared for a battle. The best way to prepare is by having a top-notch truck accident litigator on your side. Do not delay in speaking to an attorney and getting a lawsuit filed. Why? Because the California legislature enacted a law that limits the amount of time within which an injured victim can file a civil lawsuit. In the state of California, an injured party has only two years in which to file a personal injury lawsuit. If you fail to file suit within this period, you could be barred from going forward. Watch YouTube Video: Semi Truck Crashes. This video provides a first look at some of the common causes of truck accidents. I’m Ed Smith, a Lincoln truck accident injury attorney. Taking on a large trucking company or insurance company by yourself can be quite intimidating. You need to level the proverbial playing field by hiring an experienced Lincoln truck accident attorney. If you or a loved one has been involved in an accident with a large truck, please call me for free, friendly advice at 916.921.6400 or 800.404.5400. I've been handling trucking accidents involving serious personal injury and/or wrongful death exclusively throughout the state of California for over three decades. I'm a member of the Million Dollar Advocates Forum and the Top One Percent, a National Association of Distinguished Counsel. See our past verdicts/settlements cases. Our client reviews: Avvo, Yelp, and Google.